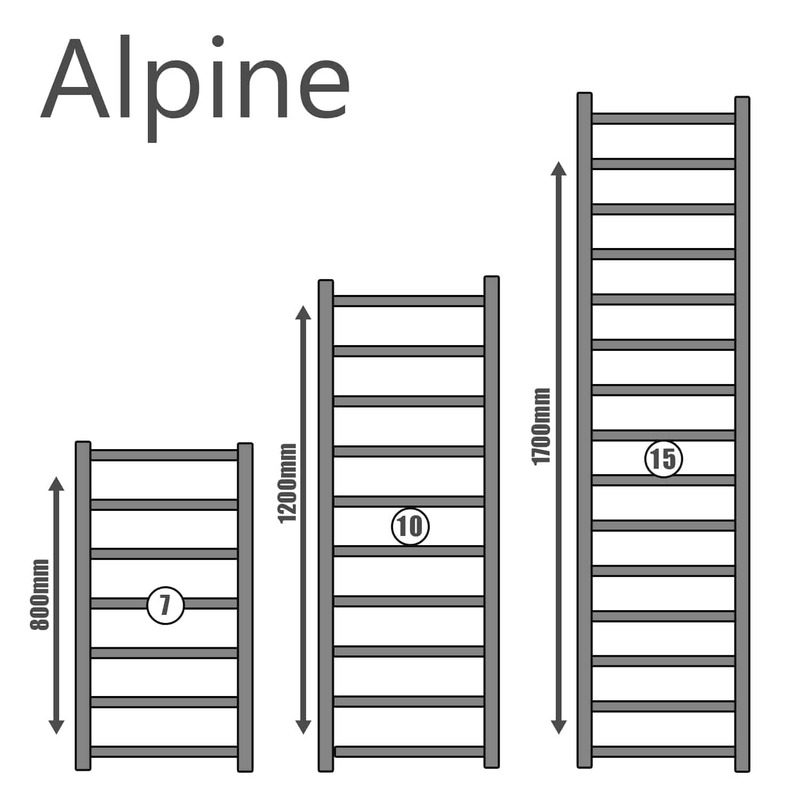 The Alpine heated towel rail arrives securely packaged and is delivered the next working day. 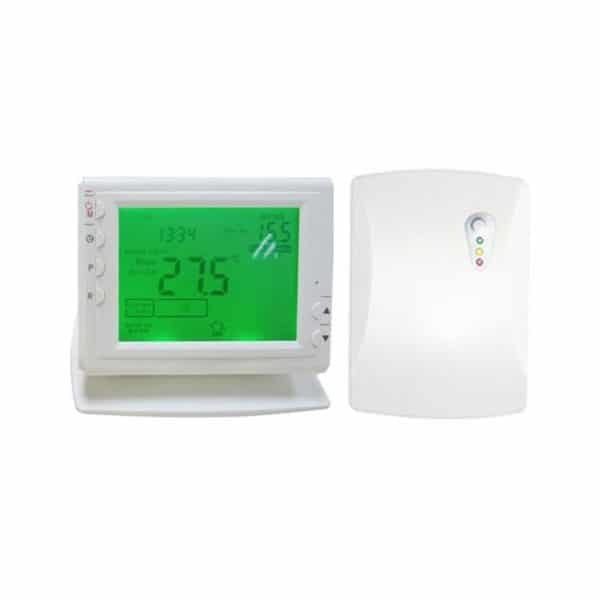 It is suitable for connection your central heating system – if you require radiator valves, our round chrome models are a perfect match (available to buy in the Accessories section). 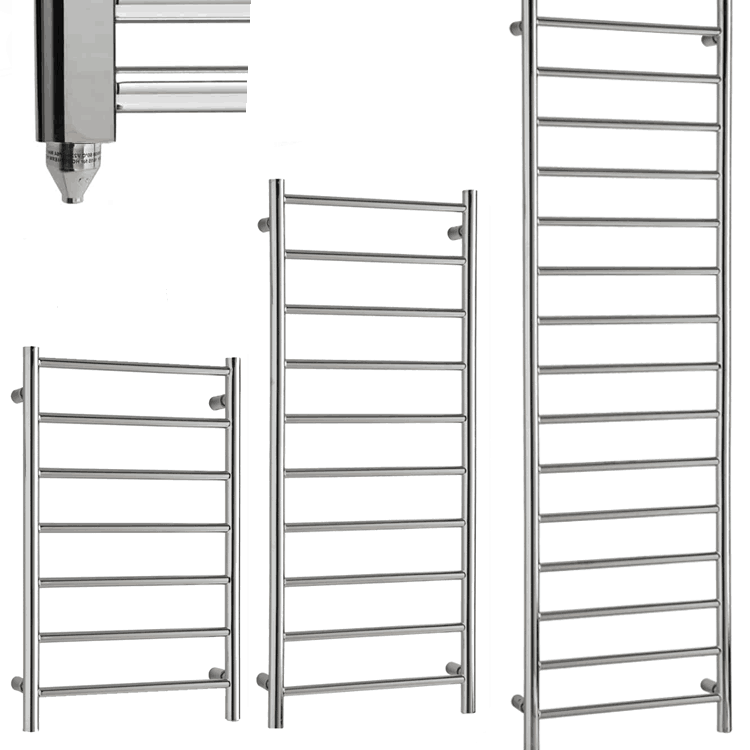 The Alpine is a premium quality heated towel rail. 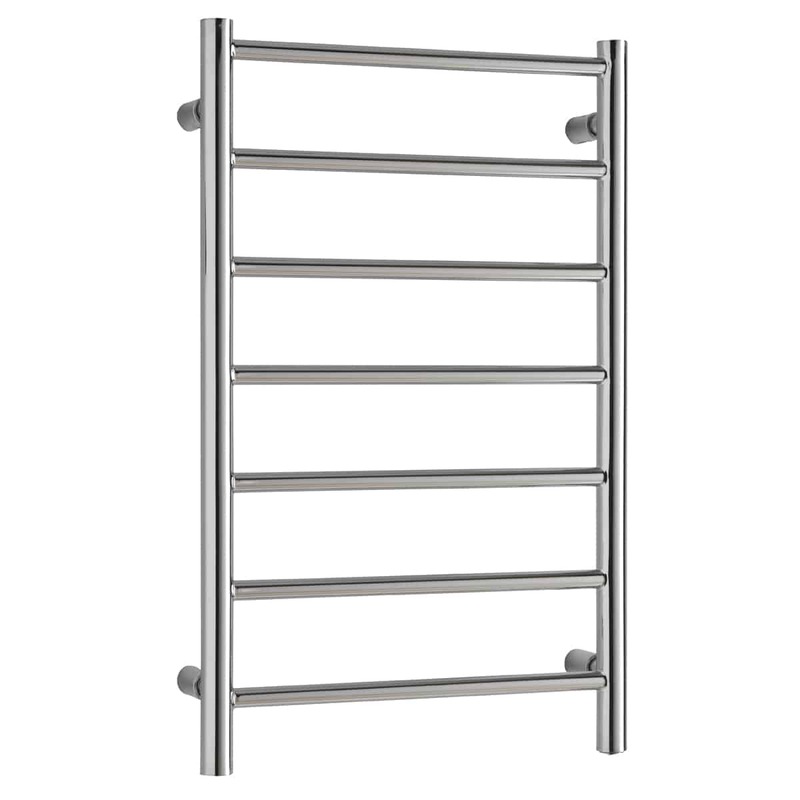 Designed with evenly distributed cylinder rails, which provide superior heat outputs when compared to cheaper alternatives. 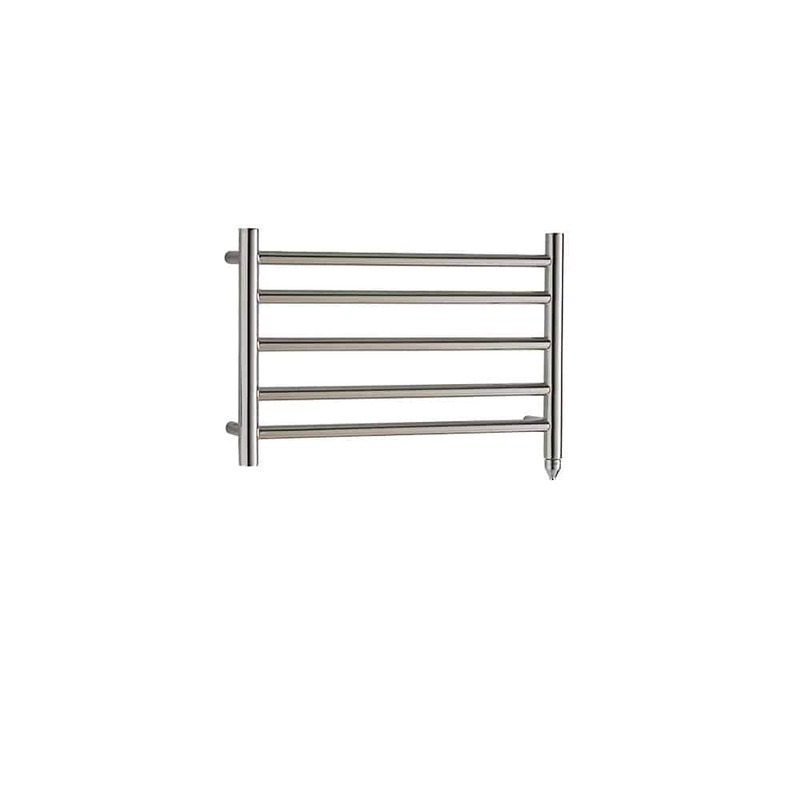 The bright polished finish makes for an attractive and modern appearance. 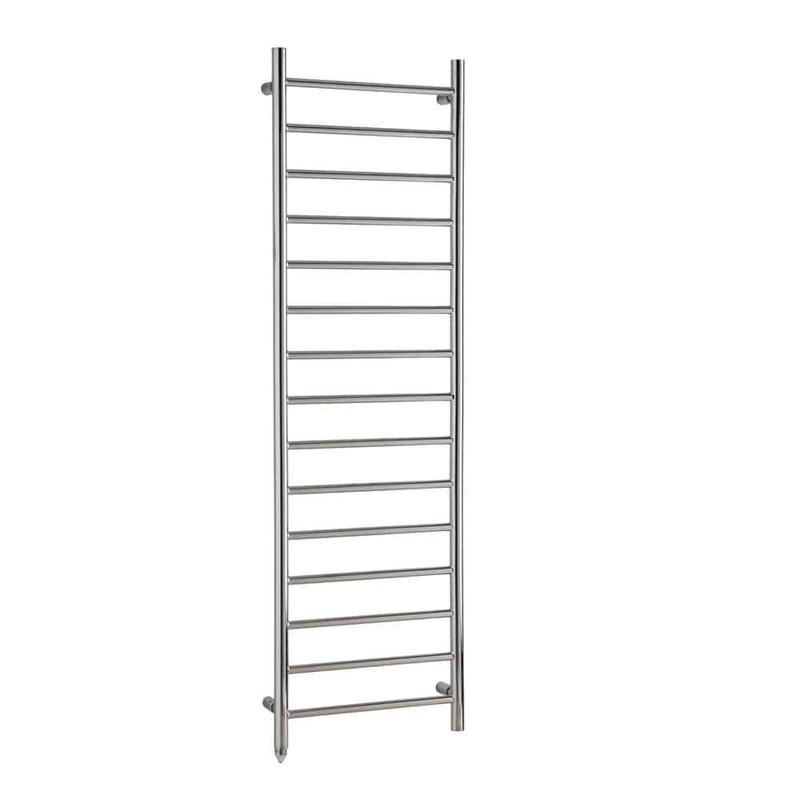 Our towel radiators are by far the cheapest towel rail of this standard you will find anywhere. We have designed them with quality, aesthetics and efficiency in mind. 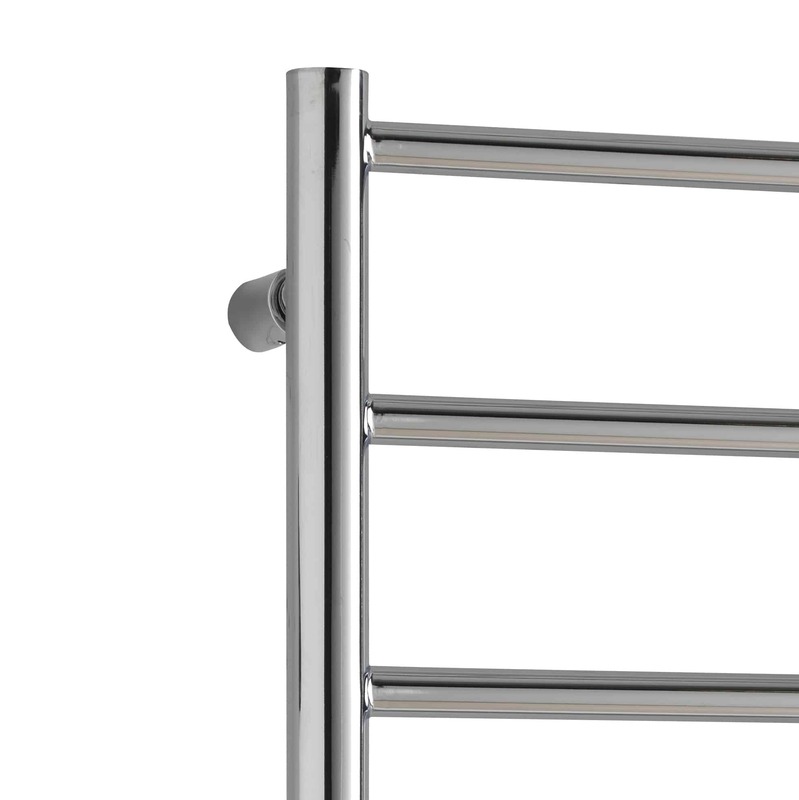 We back our towel rails with a 10-year Guarantee. 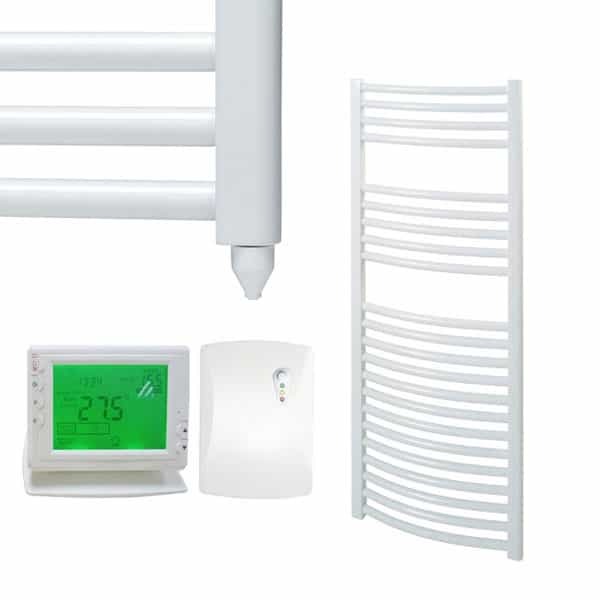 We professionally convert our heated towel rails to electric at our North Yorkshire warehouse, where they are filled with a Glycol solution and fitted with our premium PTC element, which helps prevent corrosion and guarantees long-term piece of mind. 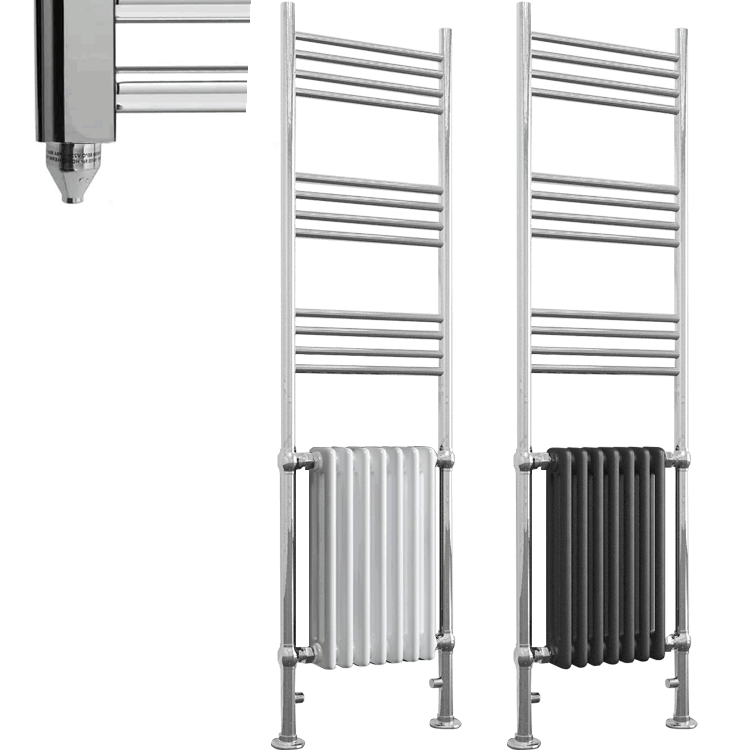 Your electric towel rail is professionally prepared at our factory. We fill your rail with a specialist glycol solution preventing against corrosion and the effects of freezing, seal the rail complete with electric element, and ship ready to wall mount and connect to your power. Get fast and free delivery on all our UK shipments* and discounted rates to Highlands and Islands (see *) and mainland Europe. Join thousands of satisfied customers; we’re so sure you will find our products superior in every way, we’ve placed a 10 year Guarantee on all of this range. Need help? 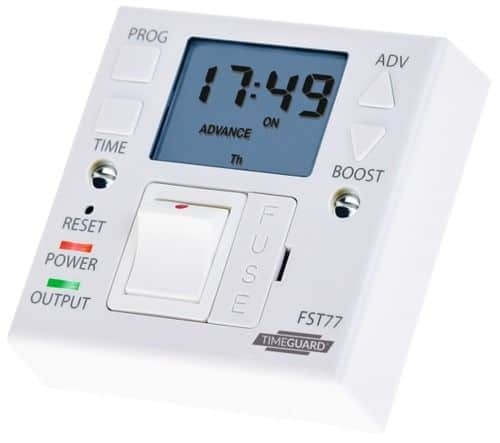 Check our FAQs & User Manuals or call us between 8am and 6pm, Monday to Friday on 01325 717899. You can always email us email us. 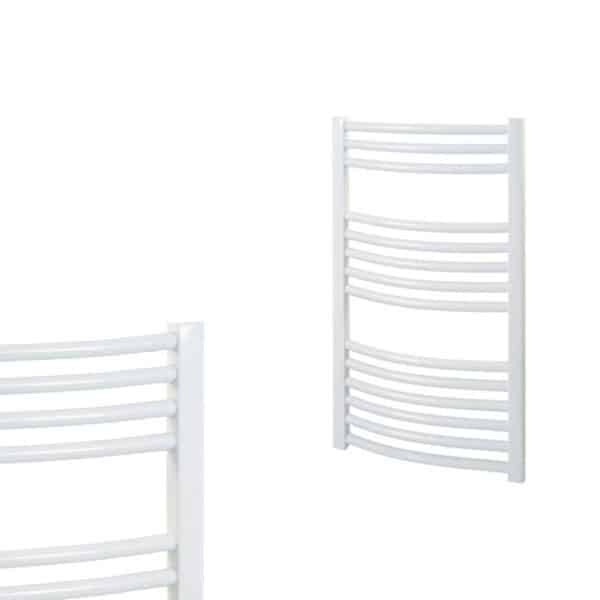 Curved White Central Heating Towel Rails - The Bray Silky gloss white finish. 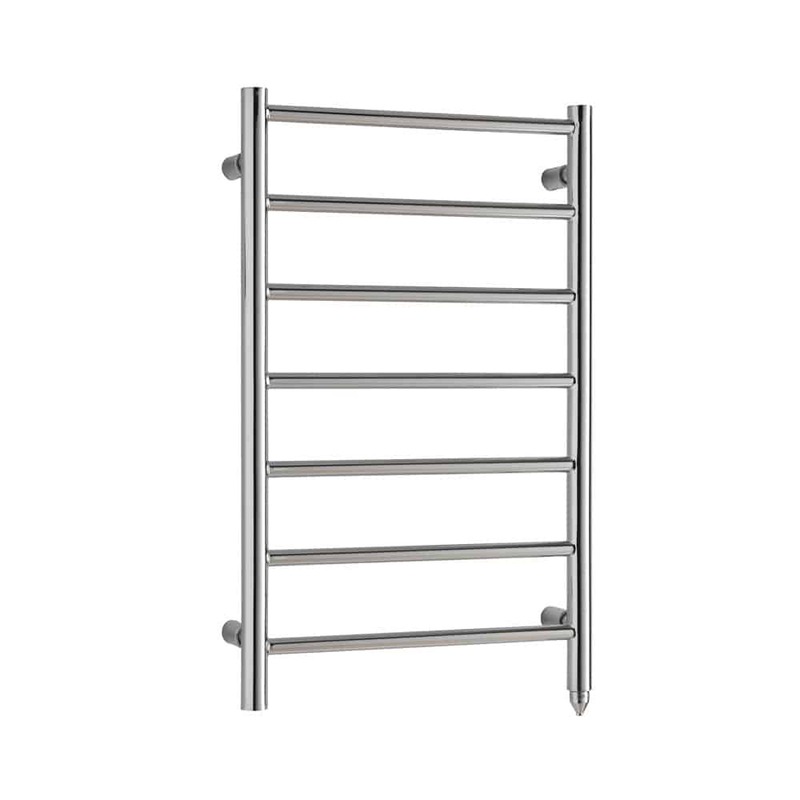 Superior heat - all Sol*Aire rails comprise 25mm high output cross bars. 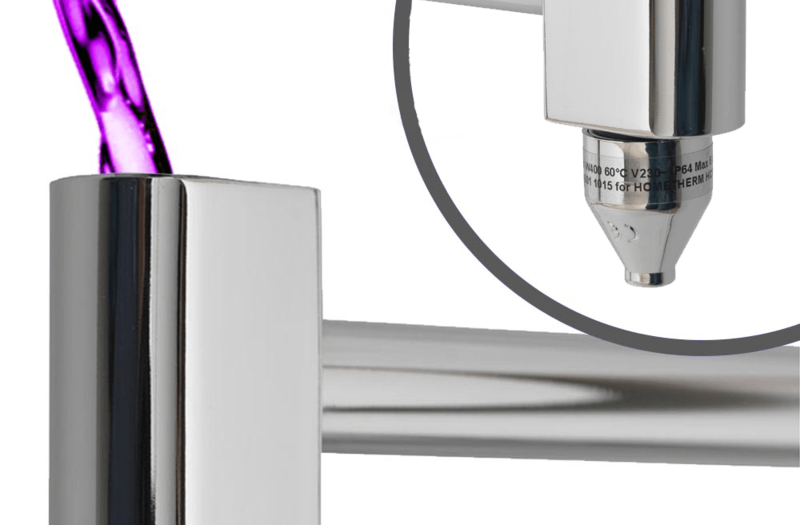 Anti-corrosion treated & tested Easy to install with a simple bracket system. Very easy to install with a well thought out bracket system 10 years manufacturer's guarantee.